The final season of Game of Thrones premieres Sunday, April 14 on HBO Canada. But if you want to catch up on all the shocking I-did-not-see-that-coming moments of past seasons first, you’d better get started now. When you add Pik TV™ with the Crave + Movies + HBO pack, you’ll get On Demand access to all 7 seasons. 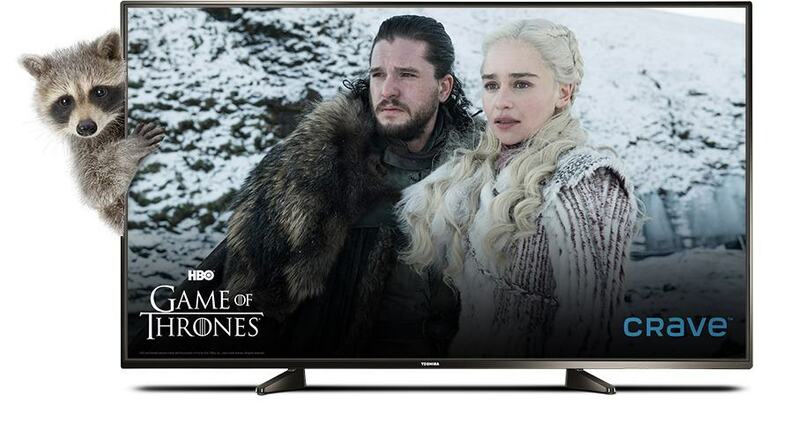 Plus, you’ll be ready to stream the new season and watch the battle for the Iron Throne on any device¹ when it kicks off. Season 8 is coming, will you be ready? Pik TV is TV tailored to you. originals that you can’t find anywhere else. 5 more of your choice from 80+ options. 1 Subscription to Pik TV and channel required. Not available with all channels. Additional subscription fees apply for premium channels. Online access to some channels requires TELUS Internet service. Mobile access is for use in Canada only, on select devices within wireless network coverage areas. Data charges may apply for mobile service outside Wi-Fi coverage. Select On Demand titles available. On Demand titles cannot be rented on iOS devices, must be rented through Pik TV to be watched on mobile devices. Regular rental charges apply. Additional subscription fees may apply for streaming apps. 2 Pik TV does not require a term contract. Service agreement required for duration of subscription. 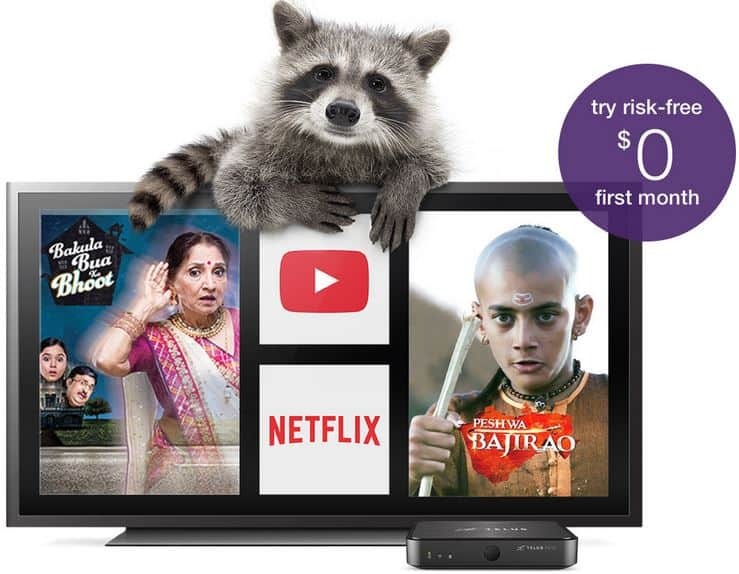 TELUS New Pik TV and TELUS Internet customers who sign up on a TELUS Internet 2-year service agreement will receive a 24 month promotional pricing of Pik TV for $0 for months 1-3, and $5 per month for months 4-24. Regular monthly price of $10 per month applies from the end of the promotional period. Prices are subject to change without notice. Eligible on TELUS Internet 15 or above. Offer available until further notice. Offer available once per household. Not available to existing TELUS Internet, Optik TV or Satellite TV customers. 3 Must have TELUS Internet. Regular pricing (currently $15 per month) will apply from month 25 onwards. TELUS reserves the right to modify regular pricing without notice. Customers must link the mobility and home services accounts to get this offer. Minimum system requirements apply. Final eligibility for the services will be determined by a TELUS representative. 4 1 GB of bonus data for $0 per month available for TELUS mobility customers on select plans. To share data, all additional lines need to be on the same shareable data plan as the primary phone. If account exceeds maximum data option allowance, standard data overage charges for usage will apply. Available in BC/AB for new TELUS home services customers. Customers must link the mobility and home services accounts to get this offer. After 24 months, the 1 GB of bonus data will be removed from the customer’s account. It may take up to 8 business days from date of activation for the 1 GB of bonus data to be available for use. Limit of 1 promotional offer of 1 GB of bonus data for $0 per month for 24 months per customer account. 5 Crave + Movies + HBO pack regular price is currently $20 per month. Subject to change without notice. 6 TELUS Boost Wi-Fi is sold separately and requires a subscription to TELUS internet. Individual results may vary depending on the construction materials of your home, location and configuration of your Wi-Fi modem, location and capabilities of Wi-Fi devices, number of nearby Wi-Fi networks, number of active Wi-Fi devices or other factors. 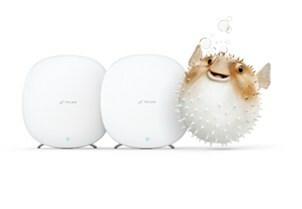 Visit telus.com/boostwifi to learn more. Crave and all associated logos are trademarks of Bell Media Inc. All rights reserved. HBO and related service marks are the property of Home Box Office, Inc., used under license. All rights reserved. SHOWTIME and related logos are trademarks of Showtime Networks Inc., used under license. All rights reserved. TELUS, the TELUS logo, Pik TV, the future is friendly and telus.com are trademarks of TELUS Corporation, used under license. All copyrights for images, artwork and trademarks are the property of their respective owners. You are subscribed as [email protected]. We would like to hear from you. If you would like to contact us, please click the ‘Contact Us’ link above. If you no longer wish to receive TELUS communications, please unsubscribe here.